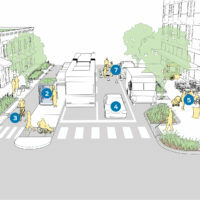 The opportunity is ripe to reimagine how streets function in cities, not just as mobility corridors and public spaces, but as part of the natural ecosystem. 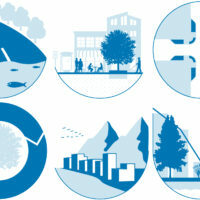 With re-urbanization, aging infrastructure, and a changing climate, sustainable stormwater management is a core challenge for resilient cities. 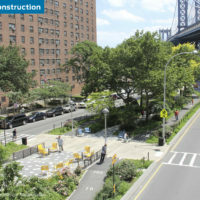 Historically, streets have formed an impermeable paved layer on top of green space, disrupting hydrological cycles and requiring expensive stormwater infrastructure to manage stormwater runoff and protect ground and surface water quality. As cities face increasing frequency, duration, and intensity of storm events, as well as more persistent drought conditions, it is time to ask more of our streets. 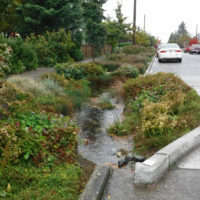 Urban streets can reconnect rainfall to the environmental life of the city. 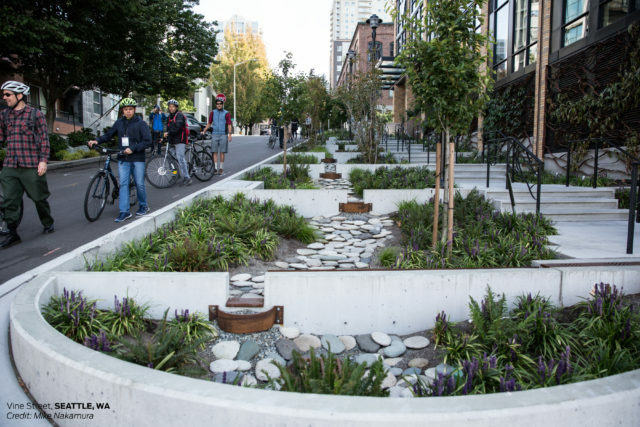 Forward-thinking planners, engineers, and designers are treating streets as part of the ecological fabric of cities, integrating green infrastructure into the street alongside transit infrastructure and safe places for people walking and biking. By thinking of streets as ecosystems, we can build cities that are more resilient, sustainable, and enjoyable places to live. An integrated approach to green stormwater management in the public right-of-way is central to the design of resilient urban landscapes. 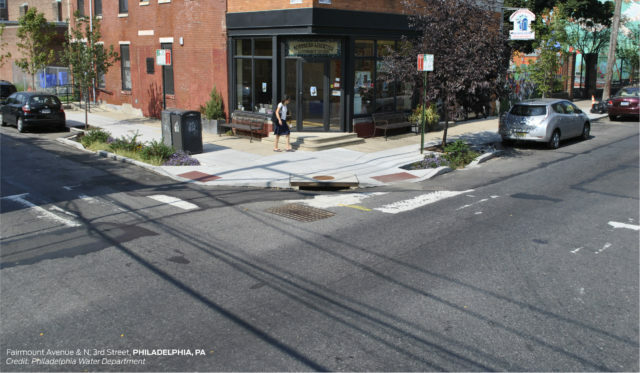 Streets present both a barrier to natural hydrology and an enormous opportunity for a better approach to stormwater management. A flooded street is not a complete street. 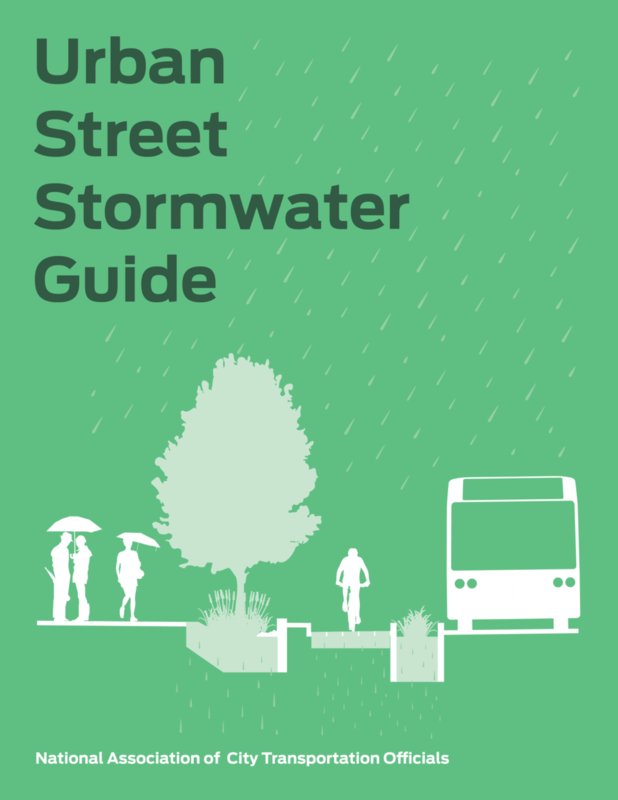 Green street design tools, which integrate stormwater control and management within the right-of-way, ensure the street remains usable and safe for all people during storm events. References for Streets Are Ecosystems: 2 found. Maniquiz-Redillas, Marla C., and Lee-Hyung Kim. "Evaluation of the capability of low-impact development practices for the removal of heavy metal from urban stormwater runoff.." Environmental technology. Foster, Josh, Ashley Lowe, and Steve Winkelman. "The value of green infrastructure for urban climate adaptation." Center for Clean Air Policy.